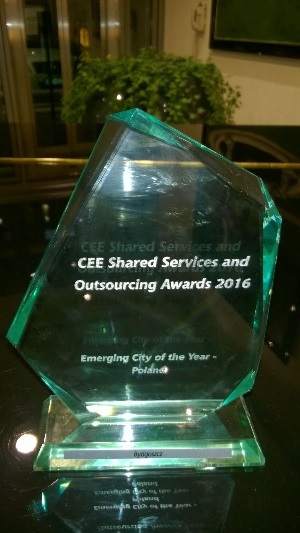 During the annual gala of modern business services BPO/SSC held in Warsaw, Bydgoszcz received the award for best city in Poland in the category of new locations for shared services centers. Thus defeated nominated cities: Szczecin, Rzeszow, Lublin and Opole. Organised by the publishing house BiznesPolska the CEE Shared Services and Outsourcing Awards Gala is one of the largest industry events BPO/SSC in the region of central and eastern Europe, bringing together more than 300 representatives of the global outsourcing companies, government agencies, representatives of local governments and public administration. The growing importance of Bydgoszcz on the map of outsourcing services is a result of, among others, actions taken by the city and the Bydgoszcz Regional Development Agency, aimed to provide the right conditions for the development of businesses and future workforce supply investors already operating in Bydgoszcz. 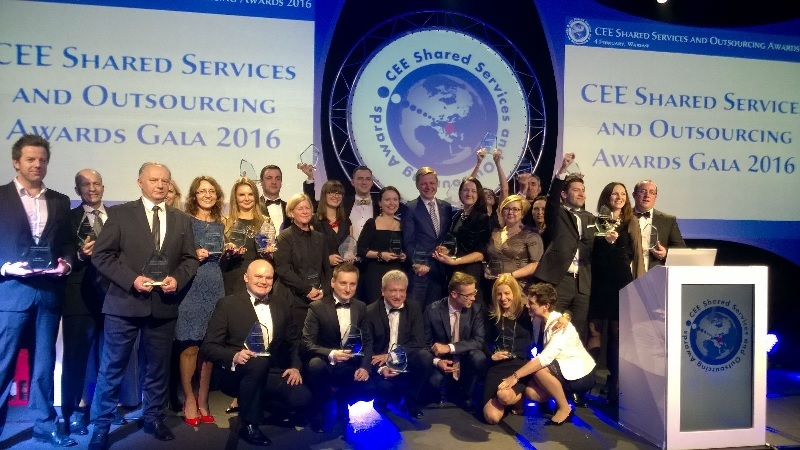 “For years, the outsourcing sector has been one of the fastest growing sectors of the Bydgoszcz local economy. Only in 2015 in companies cooperating with the Bydgoszcz Regional Development Agency was established more than 400 new jobs. In total, there are approx. 8 600 employees working in this sector and we can say that the growth trend will continue also in 2016. “– says Edyta Wiwatowska, CEO of Bydgoszcz Regional Development Agency. The development of the outsourcing industry in the city translates also into its architecture, in particular the creation of modern office buildings. The newest one is just being build on Fordonska Street, in the vicinity of the WSB University. This investment will provide approximately 4 000 m2 of modern office space and is the first part of Optimum Park, emerging in this area, which in intended to ultimately provide a total of 18 000 m2 of modern office space. Another buildings are also put into service in the Business Park on 1 Kraszewski Street. Some investors also declares the start of the office projects this year. The Bydgoszcz Regional Development Agency continues the work carried out within the framework of the campaign “Bydgoszcz open to outsourcing” and “Bydgoszcz looking for talent” supporting investors from the BPO/SSC sector in conducting their activities and developing the range of services provided from the centers located in the city to the global markets. Granted award is a proof of properly implemented strategy of the city’s economic promotion and, next to the of the World Bank title – No. 1 in the report Doing Business 2015, and the Eurobuild Magazine award – The most investor-friendly city, confirms Bydgoszcz friendly attitude toward existing and new investors.